Best Age to Adopt a Puppy – Most People think that six weeks is the best age – wrong, wrong, wrong! Between 7 and 9 weeks is the best time and here are some well-researched reasons why …. (Most data is from a survey by the Guide Dogs for the Blind, Inc.). 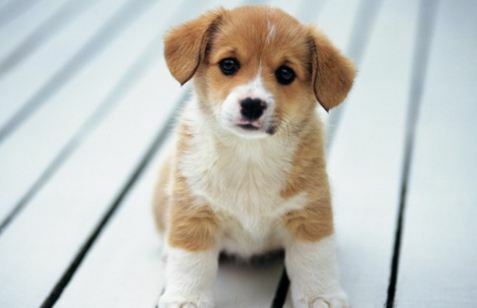 Puppies have 4 critical periods of development between birth and 16 weeks (four months) of their lives. What happens to them during these four months determines the type of companions they will become and model your personality for the rest of their lives. From birth to the first 21 days (3 weeks) – during this period the brain of the puppy is the most reactive part and is developing neural networks. At this stage, the mother and milk are the most important. The puppy needs proper food and is stimulated by the mother licks and to maintain the temperature it uses the mother and brothers of the litter. By the third week (21 days) the puppy’s brain takes the form of an adult brain and the puppy can move, blink hear, evacuate and pee without stimulation of the mother and automatically begins to explore their surroundings. They start trying to play with his brothers and mother. 3 weeks to 7 weeks (49dias) – during this period puppies learn to socialize doggedly and also learn the hierarchy of the most important dominância- in training – and get along with other dogs! This is a stage of rapid development both physical and mental. 21-28 days (4 weeks) is especially crucial and the puppy is separated from its mother and littermates at this point, can be emotionally draining so that the puppy can never be compensated for the loss of life in interaction with his mother and siblings. Characteristically, weaned pups in the fourth week are a nightmare for training because they never understand the connection between an award or a correction and what they were doing at that moment. (For example, the dog picks up his sandwich and you cry nooooo. He will not understand why you’re all saying neither because it is unacceptable to take what he wants.). Between 4 and 5 weeks is when the puppy becomes alert to their surroundings and littermates and discovers that when it bites very strong one or even the mother, it is corrected by the mother or the brothers who bite him back – strong !!! They learn to play bite to an acceptable level with his brothers. This is important to us because we can teach them they can not bite or nip. They will learn that we are delicate creatures in the pattern of the puppies. Canine socialization is very important for a puppy to be well adjusted. A puppy needs contact and interaction with his mother and siblings to learn social play puppies, such as approaching another dog, how to show submission and how to play. A weaned puppy in the fifth week is characteristically aggressive towards strange dogs. Some people call it aggressive dog but is basically caused by the fact that the puppy does not know how to approach or take the approach of another dog. Mothers discipline pups and teach them as well. This is important in dogs as important in human children. Um filhote desmamado na sexta semana pode ter habilidades sociais mas não terá toda auto- confiança como poderia ter após 7 semanas. Isso é extremamente importante num cachorro de trabalho ou num cão que você quer que tenha responsabilidade por você, sua casa ou sua propriedade. De 49 dias a 84 dias (de 7 a 12 semanas) – Em torno do 49° dia um filhote é neurologicamente completo. Tem um cérebro adulto, mas não experiência (mais ou menos quando você termina a escola e tenta arrumar um emprego. Não consegue porque não tem experiência). A good breeder will take care of their young and accompany them day to day, from birth because during this period it is essential that there is someone to give you affection and guidance thus the puppy will be willing to form relationships with people and learn to trust humans. Puppies should be socializing one on one with the human at least once a week to evolve as an individual. Next post What is Best Age to Neuter a Cat?